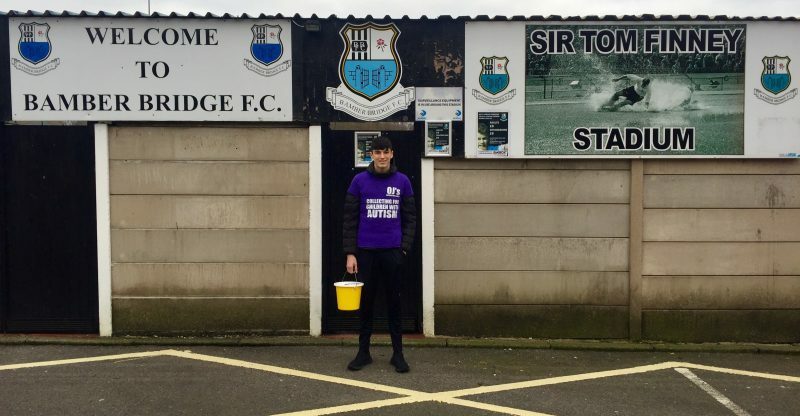 This season, for the first time ever, Bamber Bridge Football Club, is supporting a local charity during their home game matches. This is providing opportunities for children from the local community to become “Young Volunteers”. At the beginning of term Year 11 pupil Jacob, who is a regular volunteer at the club, with the help of two others managed to raise over £100.00 in just two hours for OJ’s charity. OJ’s is a charitable organisation set up purely with the aim to provide activities for children with autism, learning difficulties and associated disorders, and rely upon fund raising and donations. Being a young volunteer gives children the chance to improve their life skills, it gets them involved in their local community, allows them to meet new people and is always good to have on their CV’s before leaving school, to show that they have given up their time to help others.